These are the information rich Directories with large number of listings in them. Directory WordPress theme can contain huge amounts of data and listings. There’s no limitation to it’s capacity. These websites prove it. This website lets the users submit their listing by paying and also allows agent’s registering and has used the basic Directory mnetizing schemes for making money. 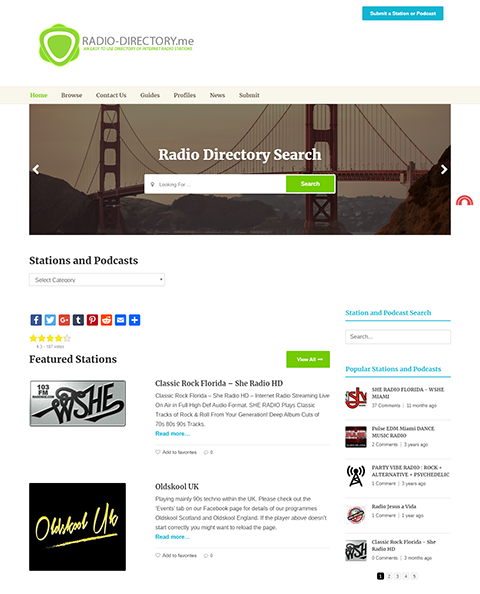 This radio directory is one of the highly populated directories with numerous listings under a wide variety of categories. 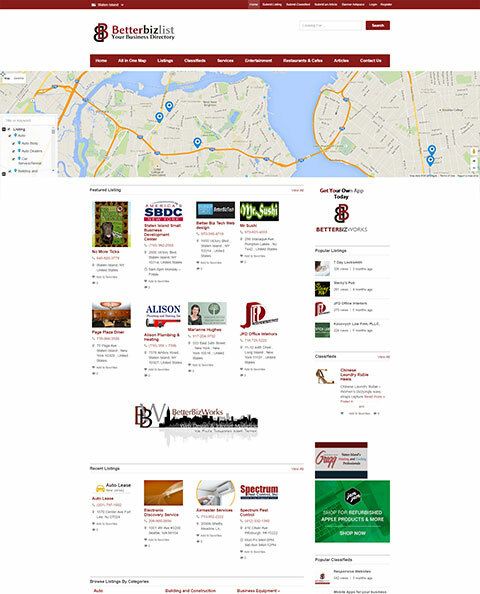 The website is created using the Listings directory theme. The base design and concept of our Directory theme has served its purpose without much customization. 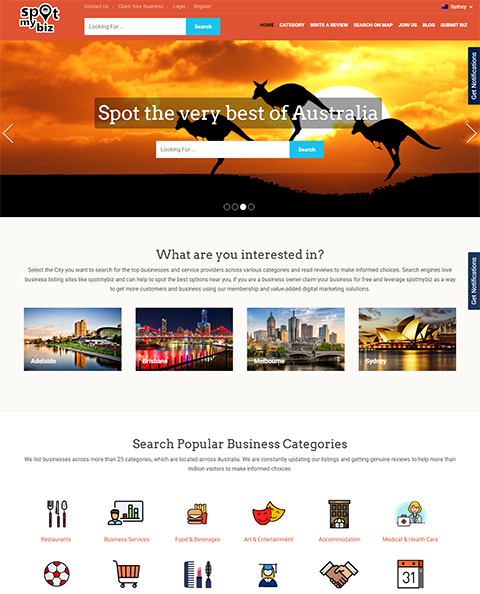 SpotMyBiz is an Australian multipurpose business directory website with business listings under different categories. It is a complete multi-city directory website. The website lets the users easily filter the business listings based on the cities and categories. It has a beautifully customized homepage to make their website intuitive and user-friendly. The website is user-friendly and information rich. It serves as a perfect platform for advertising businesses or finding business in australia. 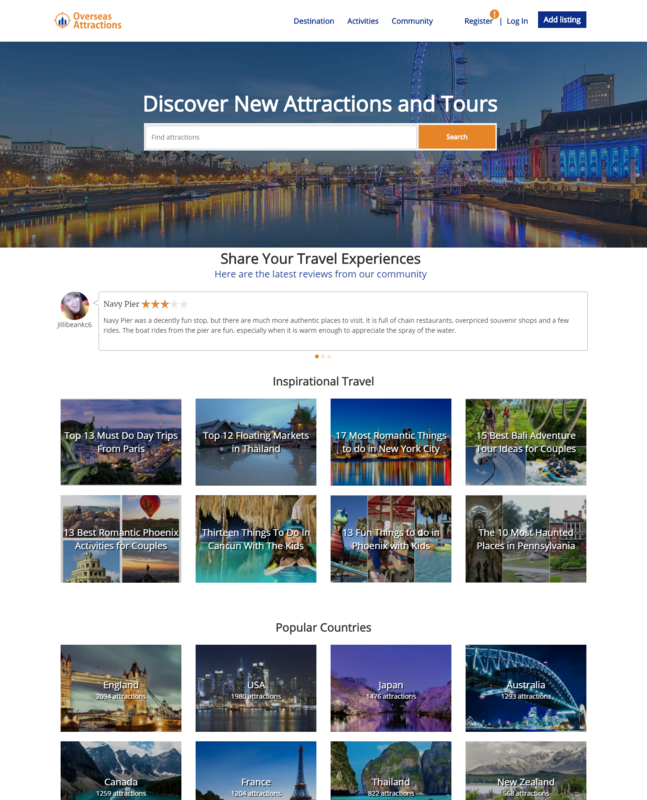 Overseas Attraction is one of our favorite directories created with the Listings theme. The concept of the overseas attraction is unique and a little different than others. It lists attractions or places of totally different countries like Thailand, New Zealand, France, Japan, etc. The categorization and presentation of the website is quite unique. The listings theme is used with its basic features without any advanced customizations.